This post has been reposted due to an important update! IMPORTANT UPDATE: The adapter listed here may not work with the Samsung Galaxy S3. There is another adapter available, the Samsung HDMI Smart Adapter (EPL-3FHUBEGSTA). This adapter requires a power adapter which is sold separately. Without the power adapter your phone will not charge but the adapter will still work (Credit: Tony Roongs). I have received quite a few questions asking why Samsung Galaxy phones (S3/S4) don't work when connected to AppRadio 3 (or AppRadio 2) using Pioneer's Android connection kit (CD-AH200C). The reason why people have problems connecting these devices is because there is another adapter needed for a successful connection. The adapter is made by Samsung itself. If you have a Samsung Galaxy S3/S4 S4 smartphone and a Pioneer AppRadio 3 or AppRadio 2 you will need the Samsung HDTV adapter EPL-FU10BEBSTD. This is a 5-pin to 11-pin converter. You will also need Pioneer's Android connection kit (CD-AH200C). The Samsung HDTV adapter has to be connected to the phone first. 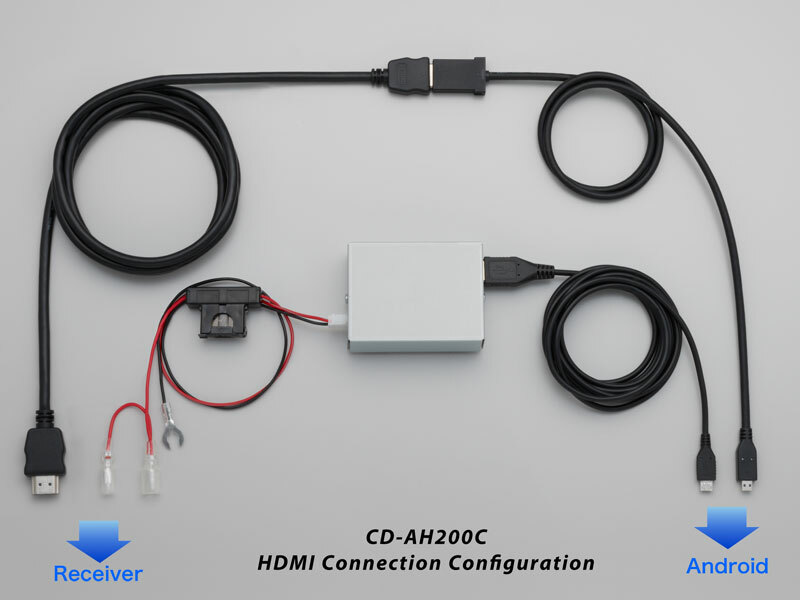 The Android connection kit should then be connected to the Samsung HDTV adapter. AppRadio Mode will then work with this setup. Without the HDTV adapter AppRadio Mode doesn't work. If using an AppRadio 3, Bluetooth connection still works without the cables. So you can still listen to music without having to buy any of the adapters or cable kits. The Samsung HDTV adapter EPL-FU10BEBSTD retails for anything between $10-$12 from online retailers. One of the better deals I found was from Amazon where the adapter is priced at $10.15. Purchase yours today! 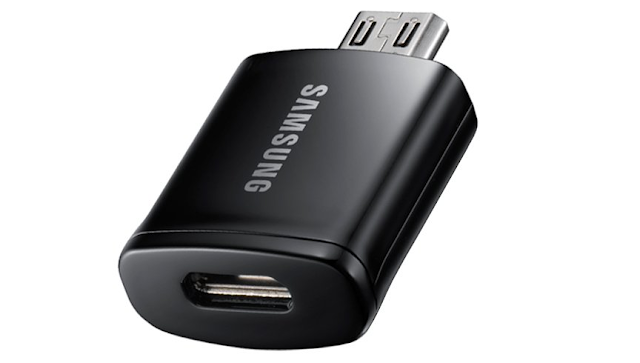 Update: The Samsung HDMI Smart Adapter (EPL-3FHUBEGSTA) is needed for Galaxy S3 phones. The link to purchase from Amazon is at the bottom of this posting. 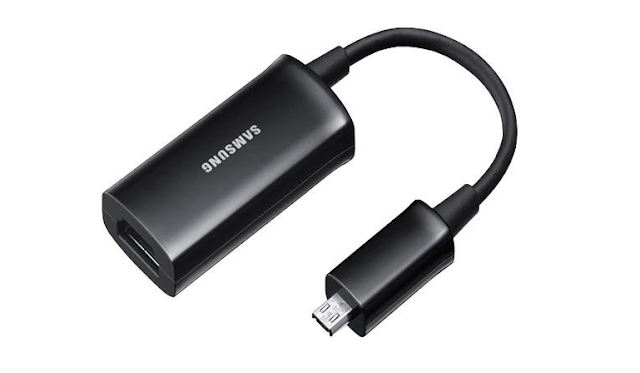 Galaxy S4 users should use the adapter mentioned above (EPL-FU10BEBSTD). The listed afapter will not work for samsung galaxy s3 for a fact. For s3 owners, you must purchase the EPL-3FHUBEGSTA. And the metallic square power adapter isnt a 2.1amp output so that can be disregarded unless youdont mind NOT charging the phone while plugged in. And the micro hdmi cable that also comes with the android connection kit is also a weak connection point, (specifically for the galaxy s3) i'm unsure as to why or whether its okay to be used for other android connections. But after i replaced the pioneer one with a gold tipped hdmi cable. My connection was solid with no further issues. I cant contest to the s4 but i know for a fact this is true for the s3 whether factory or custom rom in use. Thanks for this. I have made edits to the post. Help bought app radio 3 SPH-DA110 and mirrorlink cable with adapter EPL-FU10BEGSTA and does not work shows the following error. USB connection temporarily disabled for device protection, do not connect usb device to the unit .to restart usb restart unit. is the Samsung adapter the incorrect part? the cable used for the s4, will it be compatible for the galaxy note 2? does the phone need to be rooted or can i use the oem software? will be used with the app radio 3. For the Galaxy S4, you will need both the MHL to HDMI Adapter and the 11pin - 5pin converter. So what do you need to charge the S3 when it's connected? S4 will not charge. It shows that it is charging. Battery percent will decrease. I am using EPL-FU10BEBSTD and Pioneer's Android connection kit (CD-AH200C). Hi there, I have been so disappointed with the S3 not working with my Appradio 3. I bought the suggested adapter (EPL-FU10BEBSTD) from two different vendors and both sent me (EPL-FU10BEGSTA) which looks just like the (EPL-FU10BEBSTD), however, the (EPL-FU10BEGSTA)has an odd "male" connector which looks just like (EPL-3FHUBEGSTA)"shown above", that does NOT fit the Galaxy S3. I have the Android connection kit (CD-AH200C)along with a pioneer MHL adapter (I don't know the part number. Is there anyone that can show exactly every piece of equipment needted to make my samsun galaxy s3 work with the Pioneer appradio 3. Oh, and can someone explain what kind of weird "male end" connecter of the (EPL-3FHUBEGSTA)"shown above" is and what it goes to? cause it does not fit the Galaxy s3. the bottom of the connector has two ....I don't know, humps, I guess....instead of being flat across the bottom. I figured I would respond to my own post. I made a completely boneheaded mistake. the adapter I bought did indeed work. It was my otter box that was causing the adapter to not connect correctly. I just didn't notice it until a few minutes ago. Because the EPL-FU10BEBSTD and pioneer android connection kit doesn't charge my S4 while in use, is it possible to both the EPL-3FHUBEGSTA and EPL-FU10BEBSTD, where the HDMI cable runs directly into the EPL-3FHUBEGSTA and the EPL-FU10BEBSTD is used to between the previous and the latter? That way, I can feed power from my cig lighter into the EPL-3FHUBEGSTA for added power? Would that work? Also, Can I have both the apple and android connection kit attached to the AppRadio 3 at the same time? Not the two phone phones attached at the same time, but where I can switch phones (and thus apps) when I see fit? Can you only have either the Apple connection kit or the Android Connection kit installed at a time? I'm very disappointed with the AppRadio 3 and the limited apps available for Android. I used to be a die-hard Pioneer loyalist, but the AppRadio 3 has definitely changed my mind (2 volt pre-outs, low-amperage trickle-charge and a sketchy appradio app, are you kidding me?). I'm now looking to yank this out of my car and install a Kenwood or Alpine dedicated navi unit. How could Pioneer have gotten this so wrong? I have similiar questions to Airspoon. Mainly is there anyway to get the AppRadio 3 to charge my S4? here is how I got my Note II to charge, seems like same issue you are having I had the same issue with my Note II using the appradio 3 and the Pioneer CD-AH200C into the 5 pin to 11 pin adapter EPL-FU10BEBSTD phone would display as it is charging but would not. after numerous calls to pioneer/auto installer/samsung I was advised to switch out the Pioneer CD-AH200C and use the EPL-3FHUBEGSTA I also purchased a custom made 11pin to 11 pin male to female cable so I could keep the EPL-3FHUBEGSTA hidden behind the head unit. the custom cable is available from http://www.usbfirewire.com/Parts/rr-mhl-ext-xxg.html this is installed and confirmed working and charging. which makes me one happy appradio user. So, do I understand right that what you're saying is you actually DON'T need the CD-AH200C crap-kit but just the correct adapter to charge? I mean the AppRadio 3 (as in THREE) has already a 1A / 5V output which should be enough to charge a phone. I am now on the same issue with charging my new Galaxy S4. My S2 did charge without problems. The new one doesn't seem to do so, despite showing the charging lightning. 1. Is it possible to connect a IPhone 4s AND a Galaxy S3 at the same time? 2. I'm a bit confused by the layout of the CD-AH200C (which I'm about to order). It looks as if there are two connections to the phone, is this correct? Can I Charge my phone at the same time I use nav, video, etc? would the ePL-3FHUBEGSTD also work for the S3 or does it have to be the epl-3fhubegsta ? The CD-AH200C supplies A & B... for about 3x the price of what you could put together yourself. Admittedly, the "power brick" is nice, and I wired it in to an unused power power (cig lighter) in my console, but hindsight is 20/20 and given that I already had a power source and extra cables at home, I'd have preferred to save the $55+ that the kit cost me. I'm running the hdmi and usb to pioneer box and then the samsung adaptor to my phone and it won't work! It's confirmed that you don't need either Samsung adapter EPL-FU10BEBSTD or Pioneer CD-AH200C for the﻿ appradio function to work if you are using S4. All you need is one MHL cable from ebay, cost less than $10. Pioneer CD-AH200C is a completely useless and expensive kit, do yourself a favor and save $100. Could you post a link as too which cable you are referring? So what cables/adapter do I need to connect my S4 to my App Radio 2 can you put the UK eBay or Amazon links to these items please. I HAVE A S4 AND RECENTLY PURCHASED AVH-X2600BT. IT HAS APP RADIO FEATURE BUT PIONEER SAYS ONLY FOR IPHONE USE. HAVE U OR ANYONE U KNOW TRIED TO SEE IF IT WOULD WORK ON MY MODEL. THANKS FOR ANY HELP YOU PROVIDE. How about the ET-H10FAUWEGWW adapter?? this seems to have everything needed except the hdmi and microusb cable. and it provides charging during use? Can it work on AVH-X8550BT with CD-AH200 ? What is the exact "power adapter" used to charge an s3? Can someone please help me?!??! I have just purchased the AppRadio 3, and I have a Samsung gs3... I want Mirror Link along with all the other features that appradio can do with my phone. what cables do I need? I need an adapter, but it is VERY confusing to figure out with adapter I need after reading all the comments AND the updated post. I also want Mirror Link, so I need the Mirror Link Cable. And then I also need the Android Connectivity kit, but how are all these cables going to go into my phone when it only has the microusb port on the bottom. Please, someone help me. email me at skilip7@gmail.com. I am sooo lost and for someone as tech savvy as I am it's quite frustrating. Thanks!! The chargining issue it down to the power brick and phone use. Power brick doesn not provide enough charge for phone whilst in use. i.e. phone uses more power faster than charger can recharge battery. I found that using the Samsung Allshare cast hub ($63 on Amazon) gives me a far more reliable connection with my Galaxy S3 than using a cable. I tried two different cables and both worked most of the time but sometimes I would get multicolored snow on the pioneer screen. The phone also runs a lot cooler using the allshare hub too, it must use less power than the wired HDMI output. If I'm only in the car for a few minutes, I don't even need to plug the phone in, otherwise, I have a 2.1 amp charger that provides enough juice to charge the phone while mirroring the screen. I power the allshare hub with the 2nd USB port on my AVH-X8500BHS which leaves USB 1 open for other devices or future firmware updates. so does the radio control the phone thru bluetooth and if so are you still able to control it on the radio like the cable does? I just bought the app radio and android adapters. I looked at the compatible phones and found out my note 3 isn't listed. Well it work? Hi all can anyone help me I've purchased a pioneer sph-da100 and I have a Samsung galaxy note 3. I've purchased the andriod us lead.. but not working..only charging phone... can anyone help. Hi all I've just purchased a pioneer sph-da100 and I have a Samsung galaxy note 3 and.also brought a android phone cable .. but still not detected. . Am I better going through my home. ??? Or what's the best thing to do.. any help would be really helpful. any schematic on how to do the proper connection? where shoud the samsung adapter be "adapted"? One thing i found once i had installed the app radio 3 was that it wouldnt connect at all through the MHL adapter kit purchased along side the head unit. After much frustration, i found that my micro usb port on my Samsung galaxy S4 was full of muck which was stipping it from connecting properly. Cleaned it out, now works fine! Only taken 6 days to get it working!! I have a galaxy s4 . I purchased the Pioneer CD-ML100 and the samsung little adaptor like it says above. Nothing works.. Please somebody helllllp!! I need some info on connecting a neux 5 to the avh x3600bhsdab radio can't find anything. Was hoping to get arunchained for this head unit. Does anyone know if this is possible and what cables you might need? Make sure you have set the head unit to "Other" and not Ipod in the settings. Your phone must be unplugged from the unit and bluetooth off to change this setting. Did you manage to get touch working too? Also was your GS5 routed? Thanks. Nightmare trying to get info on all of this. I have the appradio 2 and is catching he'll connecting !! can I just use the hdmi cord, usb cord and the hdtv micro usb mhl 2.0 adapter !! Please help me this radio driving me insane! !